We will close early today at 2:00 and will re-open again on Monday morning. It’s that time of year when we take a day off and eat turkey, and think about how good most of us have it here in America. Every year our extended family gets together for a Thanksgiving feast at my daughter Betsy’s home. We eat, drink, and watch a lot of football. After nearly a year of bitching about our politicians, especially Donald Trump, taxes, health care premiums, crime, pollution, immigrants, and how can I forget – the frustrating non-stop manipulation of the price of gold and silver by the “good” folks over at JPMorgan, it’s time to slow down, take a deep breath and be thankful for what we do have. After all, we are still THE country that, given the opportunity, millions and millions of unhappy and envious people from all over the world do just about anything to get here. For all that ails us, where is a better place to be? We are blessed. 73 years and three months ago, on August 15, 1945 it was announced that Japan had surrendered unconditionally to the Allies, effectively ending World War II. 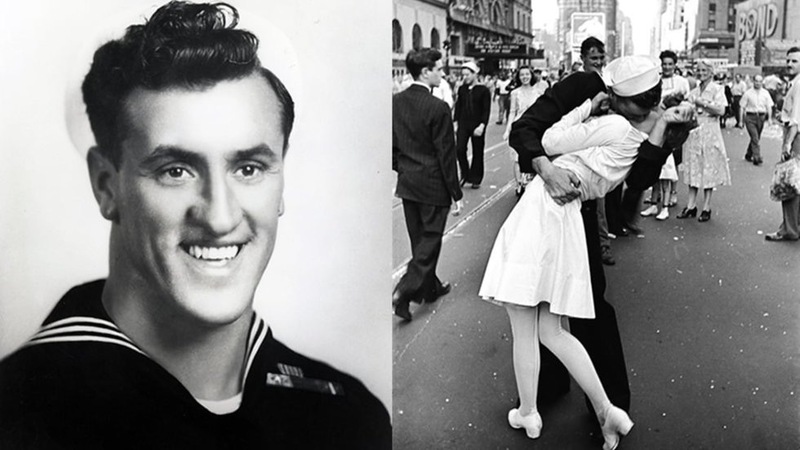 It was a joyous moment, one that was captured in the iconic photo that has come to be known as The Kissing Sailor. Americans had much to be thankful for on that day in particular. It represented the end of the most destructive war in the history of mankind. Alfred Eisenstaedt took the photo on Lexington Ave. in New York. As many of you know, I was a 20th Century European History major in college. I developed a fascination of all things related to WWII and have amassed a stunning collection of museum quality WWII aviation art and German Lugers. The boys who fought in that war, and lived to tell about it, are now well into their 90s. I was born in 1942 so for me, it is just a fuzzy memory. Funny, but I can remember walking out onto the porch of our second floor duplex and listening for the sounds of the bombs and gunfire. There were black outs at night. Here I was in Minneapolis, in the center of the United States, thousands and thousands of miles from the war that was going on in Europe and the Pacific – and we had blackouts. Pretty crazy! Almost as crazy as the Cold War drills in the early 50s when they had the school children duck under their desks, as if that would make a difference when the A Bomb went off. Several years ago I commissioned my friend Bill Mack to do a painting of The Kiss for me. It seemed to be a perfect painting to go along with the 17 original oil painting of WWII I have, by Robert Taylor and Nicholas Trudgeon and John Shaw, that grace the walls of my home office. 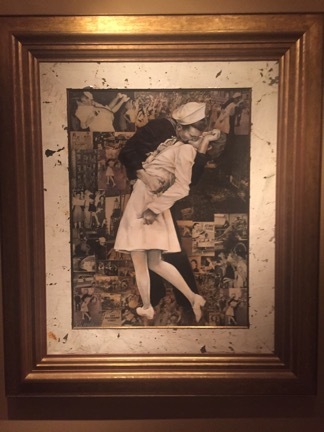 Bill used actual photos from an original Life Magazine as the “canvas” and he painted the famous sailor and nurse on top of the lacquered pictures. The white framing around the painting is metal from the original Hollywood Sign – which Bill purchased years ago and uses with many of his paintings. 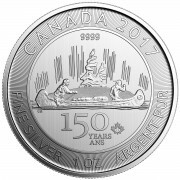 A nice historical touch. Below is the painting. It measures 38” by 22”. In addition to the painting, I also have an original photograph signed by the people in the picture, George Mendonsa and Greta Zimmer Friedman. 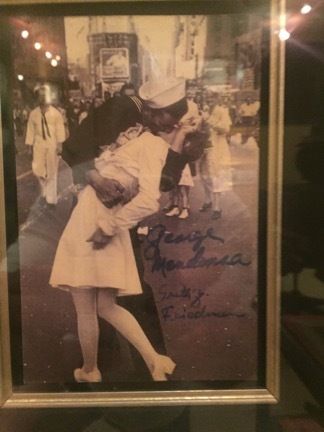 You don’t have to be a history buff to be familiar with Alfred Eisenstaedt’s “Kissing Sailor” photo — though its actual title is “V-J Day in Times Square.” It was taken hours before President Truman officially announced America’s victory in the Pacific War. 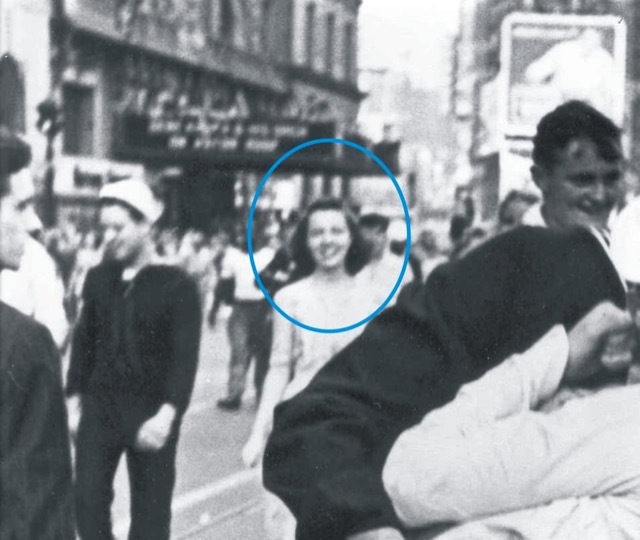 The sailor in the photo happened to be on a date in New York City. He suddenly decided to celebrate by kissing the closest nurse — it’s just too bad his date wasn’t a nurse. Authors George Galdorisi and Lawrence Verria did an extensive background study on the photo in their 2012 book, The Kissing Sailor. Their extensive forensic analysis determined that sailor was George Mendonsa and the nurse was Greta Zimmer Friedman. Friedman was not prepared for the kiss. In later years, she admitted that she didn’t even see him coming and that the two were strangers. Friedman was working in a dental office at nearby Lexington Avenue, and though the war hadn’t officially ended, the rumors around NYC were swirling that Imperial Japan was set to surrender. She went over to Time Square to read the latest news, and sure enough, the electronic tickers all read “V-J DAY, V-J DAY.” That’s when Mendonsa grabbed her by the wrist and pulled her in. He grabbed a nurse because he was so grateful to nurses who tended the wounded in the war. The good news was her bosses cancelled the rest of the appointments for the day. The bad news was she never knew the sailor’s name. She never even saw the photo until the 1960s. What she did know was that Mendonsa had been drinking (he was likely drunk). Then-Navy Quartermaster 1st Class George Mendonsa was on 30 days leave f rom his ship, The Sullivans, at the time. He had been at the helm during the Battle of Okinawa, rescuing sailors from the carrier Bunker Hill after it was hit by kamikaze attacks. It’s small wonder he was happy to not have to go back into combat. He was on a date with his then-girlfriend, Rita Perry, a woman that would later become his wife, waiting for his train back to the West Coast and back to the war. That’s when he heard the news that the war was over. Rita can be seen just over Mendonsa’s right shoulder. As a three-sport athlete I learned to anticipate and live in the future, not just the present. When most people come to a stop sign, they look both ways before they proceed. Not me. I have already checked it out, half-a-block before I get to the intersection. I already know where the traffic is coming from, and how I need to react, beforehand. I also think that way about the precious metals market and the economy. It is natural for me to think ahead. “Usually Right But Always Early” could be engraved on my headstone. 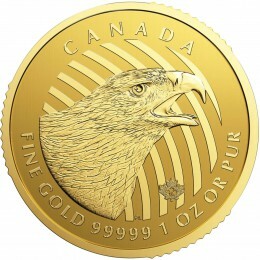 So why is my track record in predicting the price of gold and silver so mediocre? Because, to put it in a football analogy, they keep moving the goal line. And I keep saying, “Maybe next time it will be different.” Yeh, I have been early all right, but I will be right. Here’s one view that says hold on just a bit longer, the meaningful rally in gold is about one year off. 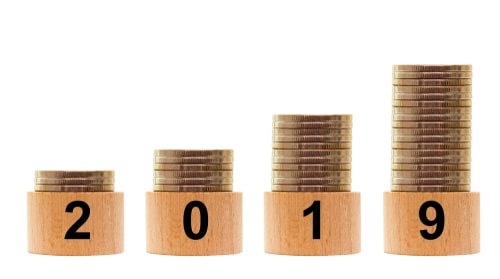 (Kitco News) – Gold is heading higher, but a meaningful move above the fleeting $1,300 an ounce level is looking possible only in late 2019, according to TD Securities’ 2019 Global Outlook. The U.S. dollar will remain supported in the short-term amid the U.S.-China trade dispute, which will likely take most of next year to resolve, and the Federal Reserve (Fed) monetary policy tightening, which will continue to put pressure on the emerging markets, the outlook said. Yet, the U.S. dollar’s “best days are nearing,” noted Melek, which is key for the yellow metal that has a negative correlation to the greenback. In the near-term, however, TD Securities sees only range-bound trading, with gold stuck between the $1,190 and the $1,240 levels. “USD strength relative to G10 and EM currencies, particularly CNY, has driven gold sharply lower this year, and will serve to keep prices from breaking out into early-2019,” Melek said. Aside from the U.S. dollar weakening, gold will also need to wait until other G10 central banks begin to seriously tighten their policy relative to the Fed, the outlook pointed out. “Continued concerns that the Fed is set to hike rates above neutral, as implied by the dots, are also very much responsible for increasing opportunity cost expectations that have kept bids away from gold, silver and platinum. Fed policy also played a very important role in creating problems in the EMs and lifting the USD,” Melek wrote. “Threading the needle is needed to see just enough risk sentiment to support renewed convergence trends in markets. Less accommodative policies means we are no longer on easy street, but nor do we need to end up on skid row,” TD Securities said. Honestly dear readers, we are getting so close I can feel it. A great re-set is coming, not just to the price of gold and silver, but to all of our investments and our life style will never again be the same. And so it starts. As long as the dollar is king and everyone wants it, the game goes on. But the Zero Hedge article below is just another example of kinks in the armor. There is a growing list of major countries that have decided to trade in their own currencies and bypass the dollar. It’s even happening in oil. This will not end well. Gold being remonetized by Basel III. 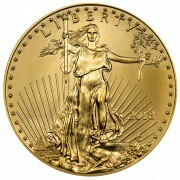 Here is an interesting article that proves our view that JPMorgan does manipulate the precious metals markets. We don’t make this stuff up. JPMorgan didn’t immediately respond to an email seeking comment. The request signals that the government is aggressively moving ahead with its inquiry. The charges are part of a broad U.S. crackdown on techniques such as spoofing, a trading practice designed to create fake demand that pushes prices up or down to generate profits. Long considered disreputable but rarely dangerous, spoofing has emerged in an era of computerized trading as a deeper threat to markets. In his plea to conspiracy and commodities fraud in federal court in Connecticut, Edmonds admitted that he and other traders sought to manipulate futures markets for gold, silver, platinum and palladium on the NYMEX and Comex exchanges, prosecutors said. This very worthwhile Bloomberg story was posted on their Internet site at 3:41 p.m. Pacific Standard Time on Tuesday afternoon — It is also on the Sharps Pixley website. Another link to it is here. I just happened to notice today that Bitcoin has dropped all the way down to 4699. It’s lost about three quarters of its value from its peak in 2017. 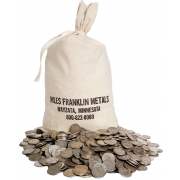 Andy Hoffman left Miles Franklin to start his new career writing about Bitcoin. He urged our readers to sell their gold and silver to buy Bitcoin. He said he sold his silver to buy it. In his case, it worked out, but he did it when the price was well below 1000. Anyone who took his advice and made the swap must be wondering why? I mean if you want to “speculate” with a small position in Bitcoin, go ahead. But why would anyone sell their gold or silver and move the funds into Bitcoin? Hard to imagine. And it ain’t through falling. Normalcy bias is a belief people hold when facing a disaster. It causes people to underestimate both the likelihood of a disaster and its possible effects, because people believe that things will always function the way things normally have functioned. Most people have not lived through hyperinflation or a great depression. They can’t believe it can happen because they have never experienced it. They will be totally unprepared for the coming “re-set.” Heck, they can’t even envision that the stock market will lose two thirds of its value, maybe more in the upcoming correction.